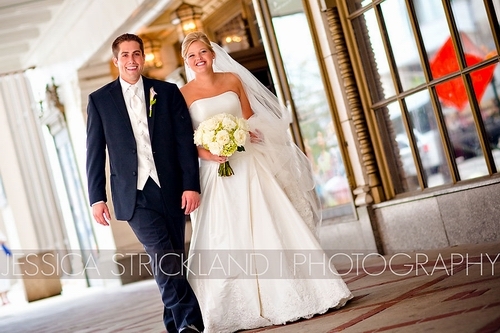 Kaitlyn and Blake had a beautiful wedding ceremony and reception at the Indiana Roof Ballroom. Our coverage started earlier that day at the Conrad Hotel where the couple saw each other for the first time. We captured this special moment alongside our friend and talented photographer, Jessica Strickland. Since the couple met in high school and even attended Prom together, it was only fitting that they exchanged personal vows during the ceremony. The Indiana Roof Ballroom looked stunning thanks to flowers and decor by Posh Petals and a gorgeous cake by Classic Cakes. The local band, Cousin Roger, provided the great music, and the couple finished the night with cute photo booth shots provided by Indy Photo Booths. Best wishes to Kaitlyn and Blake! 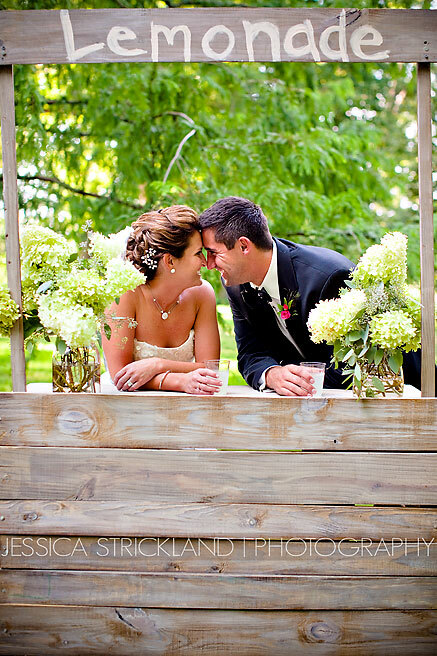 Tammy and Brian got married on a hot day in August at the Indianapolis Museum of Art. To keep their guests comfortable for the outdoor ceremony, the couple provided sunglasses, fans and lemonade. The groom even custom-built the cute lemonade stand, which made for a picture-perfect photo op with photographer, Jessica Strickland. Teresa Gift and Leah McFarland of Eventfull Planning and Palm Court Design did an amazing job with all of the decor, including the balloons leading to the ceremony site, the benches scattered among the guests’ chairs and the beautiful florals. Everything provided such a lovely setting for the ceremony, which incorporated touching speeches from family members. Jim Cerone hosted the reception and provided all of his personal touches before and after the delicious dinner prepared by Kahn’s Catering. Heavenly Sweets made a cake to look like the bride’s dress, and both the cake and the dress were stunning! Indy Photo Booths supplied crowd-pleasing entertainment with fun photos, and the couple provided popcorn as a late night snack. Congratulations to Tammy and Brian, and thanks for letting us capture your special day!